There is a risk that the delivery wire could break or separate during use, being left inside the patient’s bloodstream as a result. Medtronic has issued a Class I recall of its MindFrame Capture LP revascularization device due to a potentially deadly risk to patients. The delivery wire of the device, which is intended to restore blood flow or remove blood clots in the brain, could break or separate during use. This means that the clot retriever could be left inside the patient’s bloodstream—and this issue and/or the attempt to remove the device could lead to complications that include bleeding, further blockage of blood vessels, more severe stroke symptoms or death. In the United States, 529 devices have been recalled. Medtronic sent an urgent medical device recall notice to affected customers in February, requesting the removal of the devices from inventory and to quarantine them. 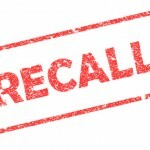 The company sent another recall notice in April related to patient management. The issue involves problems removing the balloon sheath during cardiac procedures. From ensuring patient safety to protecting a company’s reputation, the product recall process starts with putting together the right team of qualified individuals. The center is changing its communication on recalls to minimize confusion among healthcare providers and patients. Industry needs to understand that they do not classify a recall, the agency classifies it, advises former FDA official Steven Niedelman.